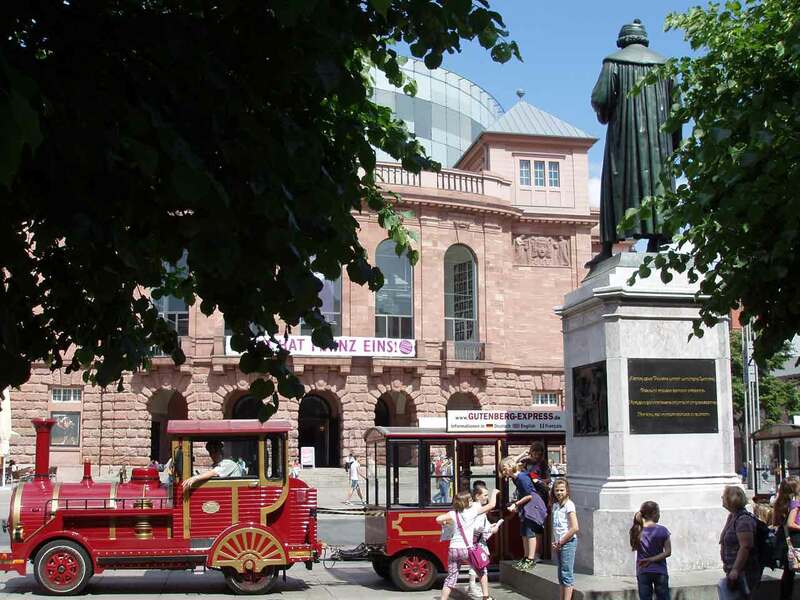 You can obtain information about our trilingual (English, German and French) sightseeing tour through our nice and small town Mainz, departure at the GUTENBERG-PLATZ. Moreover, the GUTENBERG-EXPRESS offers the possibility to arrange special sightseeing tours for marriages, company excursions and other opportunities. If you wish any kind of information do not hesitate to contact us! From January to February: no regular tours.